Ivan Garcia,25 September 2017 — If you want to go to the house of the 58-year-old dissident lawyer, Julio Ferrer Tamayo, the busy Esquina de Tejas, which is ten minutes by car from central Havana, can do as a reference point. Four important city streets meet at the famous corner; Monte, Infanta, Calzadas de Cerro, and Diez de Octubre. Walking through a dirty, broken-tiled entrance way, after going past San Joaquin and Romay, you get to a tiny house, whose door opens out to Monte Street, and that is where Ferrer lives. He receives me in black shorts and a blue sweater. His home is hot, and has an upstairs addition which serves as a bedroom and bathroom. In the little living room is a sofa and two armchairs with ochre coloured covers. There is a music centre and an old television on a display cabinet. After being in jail for eleven months for reasons I will explain in a minute, Julio Ferrer was freed on August 25th. He’s a free man. Or at least, in theory. Six days later, on Thursday morning, August 31st, he received some good news. “In a judgement, a tribunal determined that my wife should be declared innocent. I don’t think they will let her out quickly, but I hope that before the end of the year she will be able to be back home”, says Ferrer. Since July 31st, 2012, five years and one month ago, the lawyer Marienys Pavó Oñate has been sleeping in a grey prisoner’s uniform in a women’s prison to the east of the capital. “The process rigged up by the legal system against her and me was cobbled together with false evidence. They set up a witch-hunt against me because in 2009 I joined some independent lawyers’ associations”, Ferrer told me in a slow and deliberate tone. His disagreements with the government started long before that. A native of Santiago de Cuba, 937 km east of Havana, Julio was brought up by his parents with the maxim that your dignity is non-negotiable. Like most Cubans, he applauded anyone who spoke about prosperity and sovereignty. But he always formed his own opinions. After he qualified as a lawyer, he saw at first hand the corrupt legal practices in Cuba. He became one of the most respected judges and a well-regarded lawyer in a totalitarian regime, where the body of law which regulates a society is just words in the air. “Until 1993 I was a judge in the Guanabacoa Municipal Tribunal. When I took up the appointment, there were dozens of cases filed away, and other irregularities which, with the help of the team working with me, I managed to bring up to date. I have always observed a cardinal principle: respect the rule of law — promote just decisions with guaranteed procedures, and ensure that the different institutions, be they the District Attorney or the law enforcement agencies, correctly document every accusation. But, very often, those in charge of administering justice fail to comply with this precept. There are diverse reasons for this non-compliance”, explains Ferrer, “from poor work, to the most dangerous case: falsifying evidence in order to convict an innocent person”. In his opinion, “Tribunals in Cuba are not autonomous. The system of justice is driven by the whims of the government and the police authorities. There are subtle coercive mechanisms whereby a judge submits to the desires of the municipal or provincial party organisation or the police. In the La Tutelar festival, which, on August 15th, is celebrated in honour of Nuestra Señora de la Asunción, the patron saint of Guanabacoa, the police referred to the Tribunal a truck full of people detained for supposed criminal activities, in the hope that we would make a speedy decision and throw them in jail. As the judge, seeing them violating criminal procedures, I set them free. For this, I was viewed with disapproval in the Ministry of the Interior, the Public Attorney’s office and the Communist Party”. In Cuba, if you grant yourself autonomy, you pay a price. There is an invisible frontier, and nobody knows just how far you can go and how far is too far. And the lawyer Julio Ferrer crossed the line. Ferrer recalls that “I had dossiers on people who were sanctioned and, because of various irregularities, were absolved and had to be given back their property. I remember the case of a bogus front company, managed by the Council of State, which openly flouted all the applicable legislation. An employee died because of an accident at work, and the Public Prosecutor accused an electrician as the supposedly guilty party. After studying all the documentation, I requested that the Director of the company and the Head of Human Resources appear before me as the accused, in order to clarify what happened. None other than José Luis Toledo Santander, who was then the Provincial Public Prosecutor and the Dean of the Law Faculty, and now heads up the Commision of Constitutional Affairs and National Assembly of Popular Power lawyers, came to my office to try to persuade me. When I wasn’t convinced, he simply voided the decision”. 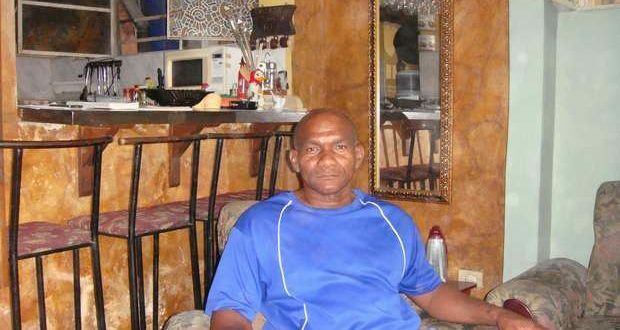 Julio’s close friends told him about the animosity felt by the political and police authorities against him in the Guanabacoa Municipality of Havana. They had their eyes on him. “Long before I became a dissident, I was identified as a ’problem’. They tried to buy me off in different ways but I stood my ground. Most of the judges and prosecutors who handled cases of interest to the state collaborate with State Security, and I never could accept that. In 1993 I decided to stop my activities as a judge and I started work as a lawyer in a collective law office. They never found me doing anything dirty. I was the first to arrive at work and the last to leave. I always kept up my studies, improving myself and keeping up-to-date. I specialised in criminal, administrative and military law. But I was a nuisance”, Ferrer confesses. Then came the moment for scores to be settled. It happened in 2009 when he first joined the Cuban Legal Association, and then Cubalex, two organisations considered illegal by the government. That’s when the crusade began against the marriage of the two lawyers, Julio Ferrer Tamayo and Marienys Pavó Oñate. Cubalex, a consultancy run by Laritza Diversant, was compulsorily dissolved by the State Security on September 23, 2016. Anyone who disobeys Castroism knows that one of the special services’ favourite strategies to make an opponent cave in is to use their family. And Marienys, Ferrer’s wife, was the first victim. “They accused her of bribery and alleged falsification of the documents of her own house. Then later they sentenced her to nine years detention for fraud. And lastly, on a joint basis the sentence was fixed at seven years. It is all an invention. Her case cannot bear the most minimal legal analysis. What’s more, the prison governor has asked for different documentation from the tribunals and the response has been silence. My wife is a hostage. It’s a strategy to break me down”. Julio himself has been accused by the government of various crimes. But in the end the authorities let him go free. “When, on September 23rd, they arbitrarily held me in the Cubalex offices, no-one, in five police units, wanted to take me, because of the obvious irregularities of the case. The whole process is a farce”, which is the word Ferrer uses to refer to the political police and the Cuban legal system. Julio Ferrer completed eleven months of detention in Prison 1580, located in San Miguel del Padrón, southeast of Havana. “Who pays for those judicial errors?” I ask him. There is in Cuba a norm for compensation after any arbitrary legal action. But it never happens, least of all with someone who is considered to be an enemy of the Revolution”, replies the independent lawyer, who still maintains his unequal dispute with the despotic state. “I am going to present an action in the tribunals against chancellor Bruno Rodríguez for the falsehoods and calumnies presented against me in the Human Rights Council of the United Nations in Geneva” says Ferrer. “Who gains from this lawsuit? Don’t you know that Cuba is an authentic dictatorship?” I ask him. “Having a knowledge of the relevant laws puts you at an advantage. Not even the government complies with its own legislation. In this peaceful confrontation, we are demonstrating the ineffectiveness of the system. The weapon which can give us victory is having better legal knowledge than the government functionaries”, he replies. Night starts to fall in El Pilar, the working class district in El Cerro where the untiring dissident lawyer lives. In the background you can hear the racket from a room near his home and a reggaeton at full volume. Julio Ferrer turns on his old television. He wants to watch the National Series baseball game. Then he phones Carla, his daughter, and they chat for a while. Some day in October or November he hopes that his wife will knock on the door. In the medium term, the Ferrer-Pavó partners will probably emigrate to the United States as political refugees. They don’t see any other way out. They have suffered brutal harassment by the government. And in Cuba you find yourself in no mans land. Next Next post: Bar, Perfume Shop or Brothel?